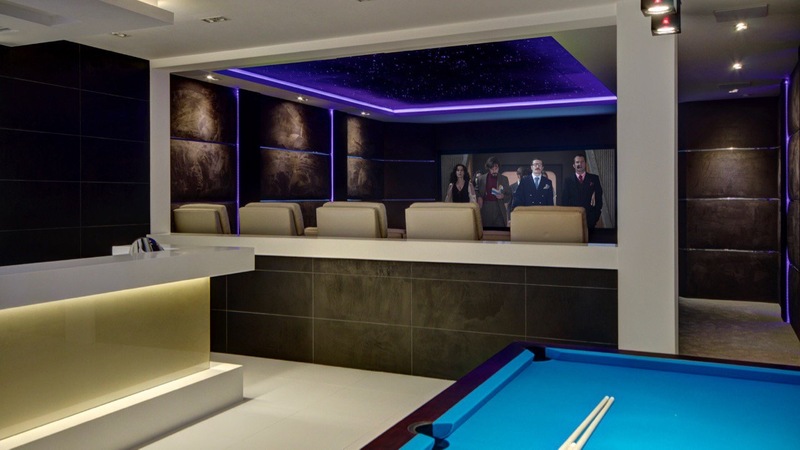 A very luxurious home cinema space, bar and games room designed to the highest specification by New wave av. 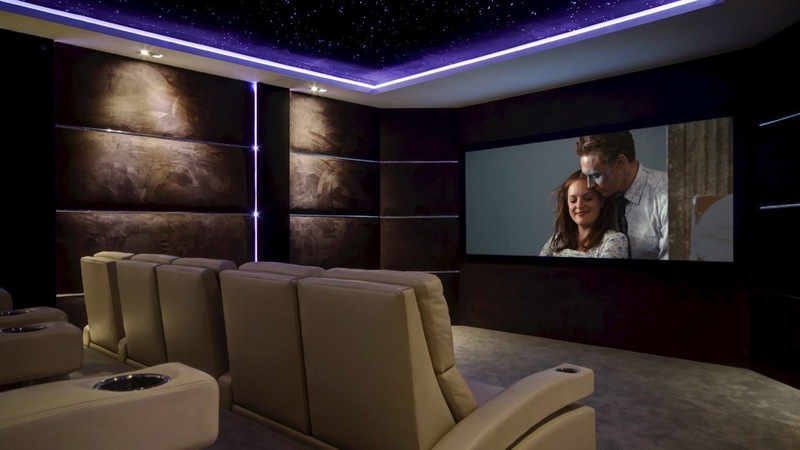 We were asked to acoustically treat all wall areas in this new build basement to create a very high standard listening environment for the family to watch their films. The aesthetics were of equal importance. The design agreed upon was four equal horizontal suede bands following around the room, split by a chrome strip and segregated vertically by acoustically transparent columns to conceal the speakers. 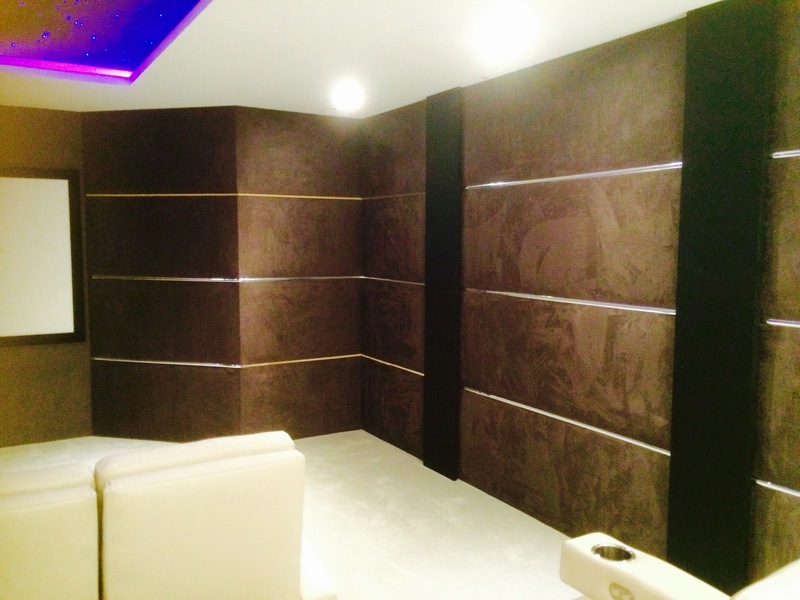 As the acoustics was a priority in the room, we used 20mm acoustic foam to soften the reverberation. We fitted 12mm timbers to the substrate and then our 12mm tracking system, allowing sufficient space for the acoustic treatment to be placed behind. We then fitted our polyester wadding to each panel to give the desired curved/padded effect once the fabric was fitted. We left a gap between each panel for the chrome strip to be fitted flush to the fabric finish. The vertical panels were built out further than the horizontal panels so that LED strips could be placed behind. 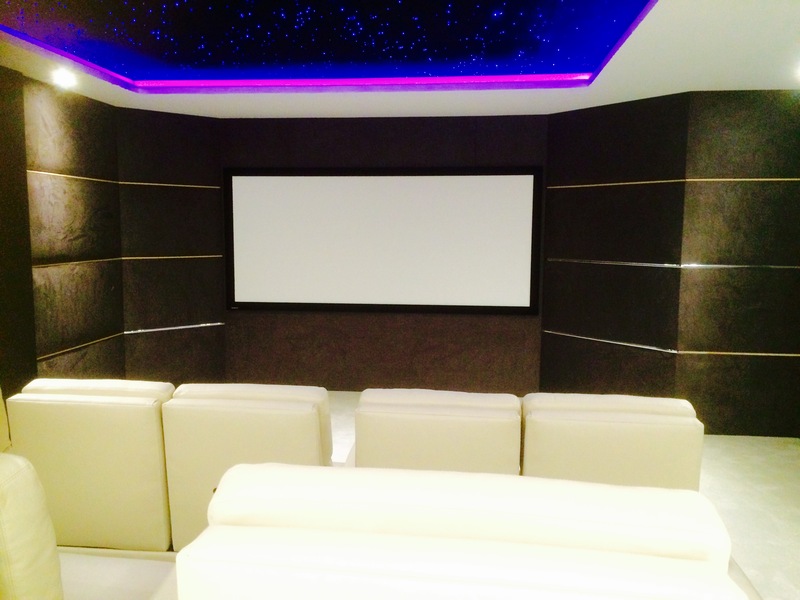 These panels were fitted with acoustically transparent fabric as there were speakers behind and were also removable, allowing for access to the speakers if needed at a later date. This project unsurprisingly has received a lot of recognition. 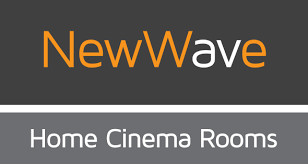 A fantastic design by New wave AV and great work by all involved.